For school districts whose few resources are already spread thin, grants are the perfect way to bring in new tools to benefit STEM learning. However, the range of grant sizes, providers, and requirements can be overwhelming to a school district just starting the process. 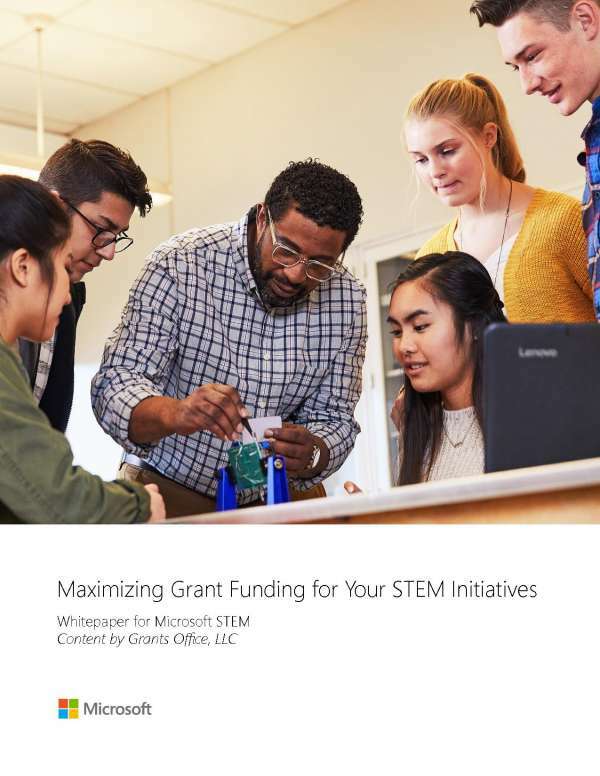 This guide efficiently organizes what your district needs to know about grant applications, covering everything from overviews of sources and structure, common STEM grants, and valuable application tips. STEM jobs are growing and profitable, with STEM workers tending to outearn other fields by around 26%. However, investing in STEM technology and other resources is often unfeasible for district budgets. Luckily, the value of STEM learning and technologies in schools is recognized by federal, state, and private grantmakers alike; meaning the dollars are out there if you know where to look. Utilize this guide to sort through the overwhelming beginning of grant searches. Identify and nail the perfect application for the grant that best fits your needs, securing funding for incredibly valuable STEM technology and programs that will benefit all of your students.